July 4th is a big holiday, a day for cookouts, fireworks, baseball, parties and more. Here's a suggestion for the live music buff, especially jazz fans. Saxophonist Myron Walden (pictured left) will be making noises of his own on 7/04 at 8:30 p.m. in lovely confines of The Side Door Jazz Club in Old Lyme. He'll be fronting his band, Momentum, a quintet that features the fine trumpeter Darren Barrett, pianist Eden Laden, bassist Yashuri Nakamura, and drummer Mark Whitfield Jr.
Walden, who plays tenor, alto and soprano saxophones as well as bass clarinet, is a member of Brian Blades' Fellowship band and trumpeter David Weiss's Sextet (see below). He's one of those players who can light up a room with a solo, whether the song is a lovely ballad or a hard-swinging "smoker". His latest recording as a leader is 2013'a double-CD, "Momentum Live: Our Sounds" (Demi Recordings). Doors open at 7:30 p.m. and the quintet hits the stage at 8:30. To find out more about Myron Walden and his career, go to www.myronwalden.com. Saturday evening, Myron Walden returns to The Side Door as part of the David Weiss Sextet. 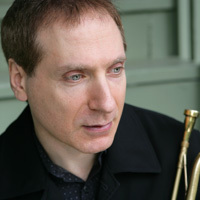 Trumpeter/composer Weiss first started this band in 2000, an off-shoot of his New Composer's Octet (if you go to his website - www.davidweissmusic.com - you'll discover a number of off-shoots). They recorded 2 CDs for the Fresh Sound/New Talent and, in 2004, the trumpeter put the group on hiatus. In 2007, Weiss created The Cookers, a wonderful sextet that features Billy Harper (saxophone), Billy Hart (drums), Dr. Eddie Henderson (trumpet), Craig Handy (alto saxophone), Cecil McBee (bass) and George Cables (piano), playing a repertoire that began as re-arrangements of early pieces by all the participants and is now expanding into new works. In between his Endangered Species project (a large group playing the music of Wayne Shorter) and preparing for a new CD by The Cookers, Weiss began composing pieces that fit in neither of those groups but would work for his Sextet. He managed to reconvene the original members - Myron Walden, Marcus Strickland (tenor sax), E.J. Strickland (drums), Xavier Davis (piano) and Dwayne Burno (bass). Several of the Weiss compositions were inspired by the loss of people either close to him or close to his associates. The resulting CD, "When Words Fail" (Motema Music), was issued several months ago and is, arguably, his strongest recordings. 2 weeks after finishing the sessions, bassist Burno passed away, shocking everyone who knew him; Weiss dedicates the title track to his bassist, a long-time friend and associate. Before The Cookers hit the road for a long tour in the Fall of this year, David Weiss is playing selected gigs with his Sextet. In the decade since he last convened the group, the Strickland Brothers have both created their own groups and Davis is one of the most in-demand pianists so getting the group together is an iffy proposition. For the Side Door show, Weiss and Walden are joining forces with bassist Nakamura from Walden's band plus David Bryant (piano), Hartford-native Jonathan Barber (drums) and the fine tenor saxophonist from the West Coast Dayna Stephens. The music will still be powerful, the performances impressive. The music starts at 8:30 p.m. To make reservations and for more information, go to thesidedoorjazz.com or call 860-434-0886.